The high-quality services offered by the specialists at Montana’s Rocky Mountain Eye Center include treatment for glaucoma, macular degeneration, and other serious eye diseases. These talented doctors provide the most innovative and effective care available to preserve your eye health and vision. This includes preventive exams that spot changes early, when they’re often easiest to treat. Schedule a visit today at one of their convenient locations in Missoula, Hamilton, or Butte. Call the office or book your appointment online. Ocular (eye) diseases are caused by a wide variety of issues. Your eyes are filled with tiny blood vessels and nerves that rely on your body’s overall health to maintain proper function. An eye disease such as retinopathy, for instance, can occur as a complication of diabetes or untreated high blood pressure. Sometimes the aging process, an infection, or your family genes are to blame. 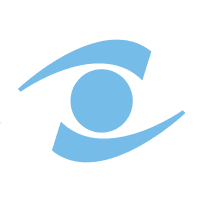 The good news is that many ocular diseases respond very well to the advanced medical treatments available through a specialist’s care, like that offered at Rocky Mountain Eye Center. How Do You Treat Eye Diseases? The treatment depends upon the type and severity of the disease. The goal for treating glaucoma, for example, is to reduce the intraocular pressure that’s putting your vision at risk. Your doctor may begin treatment with eye drops or oral medications. If that isn’t enough, he may proceed to laser surgery (trabeculoplasty) to create a better flow of fluids through your eye’s natural drainage system. It’s a painless procedure that takes about 15 minutes. When cataracts have worsened to where they’re impairing your vision and reducing your quality of life, surgery replaces your cloudy natural lens with a manufactured lens. Probably the best self-care measure you can take related to eye disease is to schedule routine comprehensive eye exams, especially if you’re over 40 or have diabetes, hypertension, or other conditions that put your eye health at risk. Schedule a visit at Rocky Mountain Eye Center today. Call the office or book your appointment online.